Homegrown Announces Its Lineup, North Texans Bring Home Grammys and Erykah Celebrates 20 Years of Baduizm. We’ve known for a minute now that Tripping Daisy is reuniting for its first show in more than 17 years at this summer’s Homegrown Music & Arts Fest, which returns to Main Street Garden Park on May 13. Many of you have known this for some time, too. Our story about it was one of our most read items for the entire month of January. But only as of this morning have we collectively known that the rest of the lineup – one that, for the first time ever, features a few non-Texas-made talents – is just as buzzworthy. Rounding out that bill? MUTEMATH, White Denim, Porches, Lower Dens, Still Corners, Motorcade, RC & The Gritz, El Gato, Cure for Paranoia, Lizzie Boredom and Greg Schroeder. Tickets, which will run your $50 plus fees, are on sale here. In other fest news, JMBLYA earlier this week added a couple more names to its already stacked, Chance the Rapper-headlined 2017 lineup. Migos and Gucci Mane will now join in on the early summer fun. We also now know that when JMBLYA returns to Dallas for its fifth go-round on May 5, it’ll be doing so at Fair Park, the same spot to which the fest drew a crowd of 15,000 attendees last year. Drawing far less attendees last year were KXT’s Sun Sets series — although, granted, that was by design, and a good design at that. Regardless of who seems to be playing these deals, tickets to the intimate, outdoor shows always sell out in a matter of minutes. So it’s pretty cool that when the series moves to its new home at the Dallas Arboretum on Tuesday evenings from May through July, you can guarantee your entry to every show. All it will take is a $225 donation to the station’s current pledge drive. Elsewhere in the ceremony, Morris also took the stage to perform her album closer “Once,” where she was joined in duet fashion by Alicia Keys. Not a bad little night for the breakout super star! 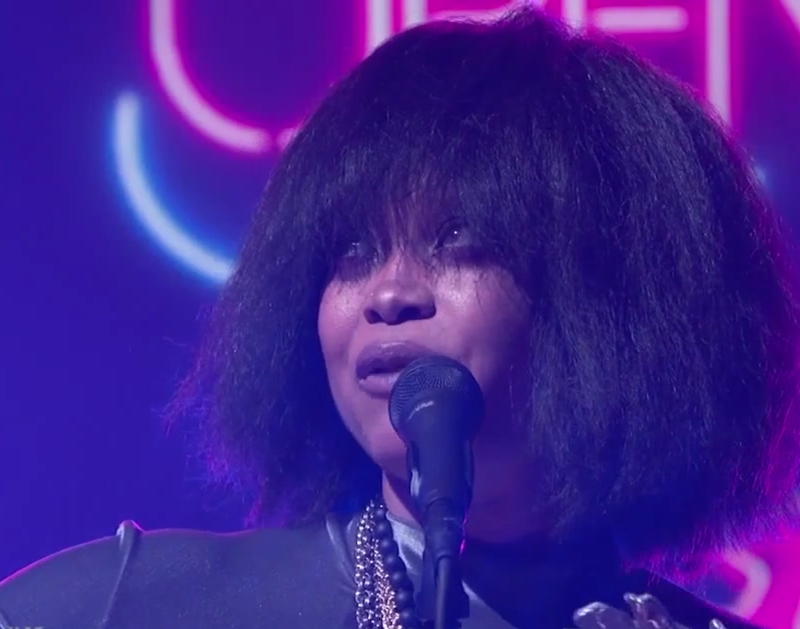 Speaking of duets: Erykah Badu and D.R.A.M. performed the latter’s “WiFi” on Jimmy Kimmel Live last night — on the same episode where Dallas lawyer Rachel Lindsay was revealed as the next Bachelorette. Actually, it was a week of milestones for Badu, whose debut album Baduizm came out 20 years ago Saturday. That feat was noted by Billboard, which ran an extensive oral history on the album, as well as in Essence, which ran a lengthy exclusive interview of its own. The celebration of that album continues later this month at The Bomb Factory, too, as Badu returns to the venue for her always anticipated annual birthday celebration. Moving on, we’ve got a few music videos for your peepers. Next up, Pyrex Pirates gets it twisted in their new “Middle of the Night” clip, which was shot by Dylan Faulkenberry. Also, The Angelus is back with a simple and slow-moving series of scenes for its “As I Live and Breathe,” shot by the band’s frontman Emil Rapstine, and edited by David Gilbert. Lastly on this front, budding 22-year-old videographer Dailey proves himself a budding young hip-hop star as well in his new self-edited “Oak Cliff Princess” video. Oh, and this is cool: Want to see yourself in a future edition of this column? Make your way over to Andy’s Bar this Saturday for a Planned Parenthood benefit/video shoot for Power Trip’s new “Executioner’s Tax” single. Downbeat for that one is 7 p.m. Finally this week, we’d like to extend a congratulations to Josey Records, which is expanding with another outpost of its popular vinyl destination in March — this one across the border in Tulsa. The new spot is the company’s third, joining the Dallas flagship store as well as the Kansas City location that opened in 2015. Next ArticleThings To Do On Wednesday, February 15.